Hyper Recruitment Solutions (HRS) is a specialist recruitment consultancy dedicated to the Science and Technology sectors. Founded and run by Ricky Martin in partnership with Lord Alan Sugar, HRS has a wealth of recruitment expertise as well as compliance and commercial awareness. We offer a range of permanent, temporary and contract staff. HRS can provide full recruitment support to your company regardless of your size. This can be as basic as supporting you in finding the best talent for a challenging opening, or it can be more in depth with regards helping you to establish the correct recruitment process and interview style for future needs. Our business provides a truly consultative service with the aim of working with you as a partner. Our expertise is in working across the Science & Technology sectors and as a business we are made up of technical experts including Biochemists, Chemists, Members of the Royal Society of Chemistry and TOPRA to name a few. As a business we are a member of the One Nucleus membership organisation and are in attendance at most of the major scientific conferences across the UK, and EU, each year. For our business the science always comes first! We are looking to work with like minded business who are looking for a supplier who can provide both the technical expertise and a highly compliant and professional approach to recruitment. 20% discount on all standard T&Cs of business for the first 12 months of business and 15% for all future business past 12 months. HRS can provide on site discussion and meetings to establish your recruitment strategy / timelines and also discuss the full job description and personal specification with you on a one to one basis. HRS will provide you with business information including changes in market trends, salary bench marketing and / or reduced pricing for publication advertising. HRS can provide ‘recruitment process reviews’ helping you to enhance or adapt your current screening processes. HRS can provide online social media support based on your needs. HRS will provide consultative support and advice to all candidates before, during and post short listing for any role we represent you with. This will provide you with confidence in our candidate screening methods ensuring we do not waste any of your time with inappropriate candidates. HRS will ensure every candidate has been fully briefed on your business, history, nature of the job requirement and the interview process. This will make sure that people we put forward will not let you down and therefore not waste any of your time or money. 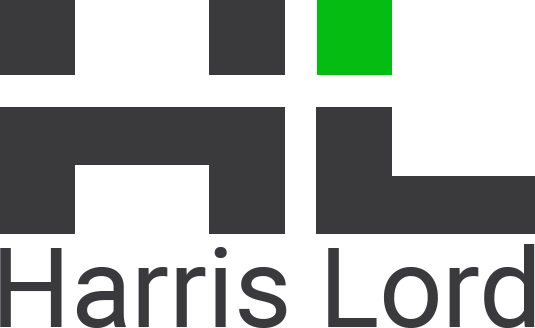 Harris Lord is a multi-discipline independent UK and European Recruitment Consultancy with a Head Office based near London Gatwick Airport. We recruit for permanent, temporary and contract roles within the Life Science sector, focusing on Pharmaceuticals, Biotechnology and Medical Devices. We have significant experience of working with start-ups and SMEs and appreciate the subtleties in recruiting for smaller businesses. As we are an independent business, we tailor our services to a client’s needs and have consultants with expertise in specific areas of the market. We also offer free added value services for clients including employment law seminars and market information/research. Over and above everything else, we work transparently with an open, honest approach that ensures we develop lasting business relationships. Our recruitment support doesn’t just mean sending CVs to open roles. We will work with our clients in understanding their requirements and provide up to date market information to help guide the recruitment process. We fully interview all of our candidates before submitting them to a vacancy. We can offer support throughout the interview process including advising on structure and format. Our aftercare process is also fundamental for our candidates and clients alike. We maintain contact with our clients and candidates in the months following their start date to help ensure that they integrate successfully.